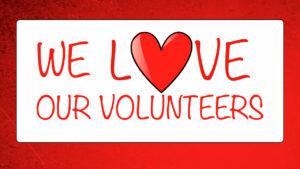 It’s National Volunteer Week and we just want to say thanks! Actually, we shouldn’t pause just to say thanks this particular week, this gratefulness is present ALL YEAR ROUND! Island Prostate Centre has now been serving men and their families on Vancouver Island for close to 18 years. As many of you know, IPC has always had a very small staff complement. From this, it is pretty self-explanatory how important our volunteers have been, and continue to be for us! Incredibly, we have volunteers who have been with us from day one and those who have joined us more recently. Our volunteers undertake very committed roles, from providing nurse support, varied aspects of peer support to men who are diagnosed with prostate cancer, and lots of projects and activities in between. George H.W. Bush once said “The solution to each problem that confronts us begins with an individual who steps forward and who says ‘I can help‘”. For all of you who have stepped up and asked “how can I help”, you will never know the impact you have had and will continue to have in making life better for men right here in our community. Are you thinking about volunteering and want some help to get you started? Just be in touch as we have several opportunities, including our Raymond James Father’s Day Walk / Run for Prostate Cancer, coming up on Sunday, June 17th whereby we are always looking for volunteer help. And if volunteering isn’t for you, that’s okay. There are so many other ways to support Island Prostate Centre. Participating in our Westcoast Motorcycle Ride to Live or the Raymond James Father’s Day Walk / Run are just a couple of ways. We will continue to say “thank you ” to each of our volunteers all year round. It’s not just this week – we appreciate you each and every day.